I’m sitting in the meeting of the Florida Fish and Wildlife Conservation Commission down in Key Largo, and I have great news: A decision has just been made to protect tiger sharks and three species of hammerhead sharks in state waters. We really like this new regulation. Tiger sharks have declined drastically in recent decades — up to 97% in US Atlantic waters. 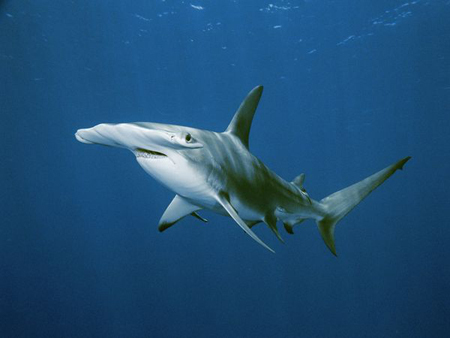 And these three species of hammerhead sharks have declined about 70% in northwest Atlantic waters. Sharks are often caught for their fins that eventually end up in shark fin soup. There are some other shark species that still would benefit from this same protection in Florida’s waters, but for now we’re pleased to see the state make positive changes to these shark fisheries. Florida’s waters provide essential habitat for these species; their babies (called pups) use these waters as nursery grounds. Protected sharks = more shark babies = healthier oceans. Thanks to everyone who helped with this huge victory for sharks! ← Chevron Oil Spill off Brazil – 10 Times Bigger Than Official Estimate?